Brave, in all their years dating back to even the Arise From Thorns days, have been a hard band to classify. 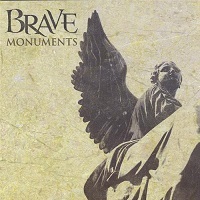 Sure, you can take the lazy route and just slap the term progressive on there but there’s no denying they have already had a certain something to their sound that made it just sound like “Brave.” With their latest full-length, and first since 2008’s Monuments, The Calm – The Storm is a welcome return from rock/metal’s more underdog acts. Opener “I Will Wait” is seemingly the perfect way to start the album, as well as re-introduce the band to long-time fans. Near-whimsical riffing and melodies open the track, with accompanying violin to add to the depth and beauty while the guitars kick things up a knock into more proggy territory, with Michelle Schrotz’s unique vocals still hit with the same high level of emotion that they have always maintained – sitting as one of the band’s cornerstones. The songs themselves volley between a number of moods and atmospheres. At the heavier end, we have “Race to the End,” with an almost doom/gothic vibe to it and features a duet with While Heaven Wept’s Rain Irving (FYI a good chunk of Brave are also members/ex-members of While Heaven Wept) and the soaring “Electric Ravens” (an electric version of previous b-side “Three Ravens”), with some breath-taking violins used alongside great basswork to craft a gloomy yet glorious affair. On the lighter side of things, acoustic cuts like “A Thousand Miles of Sand” and “Bay Song” manage to feel folky without going too far outside the Brave standard, while “November” takes things into more introspective territory. Then there’s the aptly-titled “Summertime” that becomes surprisingly happy in tone – proof the band can really switch things up track to track without worrying about staying in the genre lines. What has and still makes Brave work above all else is their dedication to making emotionally resonant music. It doesn’t matter if it’s heavy, bittersweet, or uplifting in tone – it’s clearly written from the heart. The Calm – The Storm reflects back all of the band’s accumulated songwriting skills and presents possibly the strongest release from the band to date. 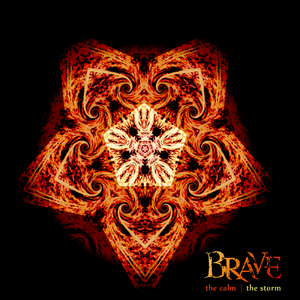 With the band being a bit of an underground gem, new releases from Brave don’t come about frequently so cherish this one for all its worth.